Vince isn’t perfect, but his love for Kaz reveals the best of him. Their coastal farm is an idyllic place to raise their two children, and Kaz ensures that life is easy and full of fun. 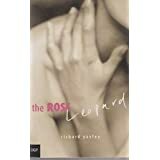 Here, Vince can indulge both his passions – for words and for his wife.But when an unexpected event shatters their contentment, Vince isn’t ready for the responsibilities he must face.In creating the fable of the Rose Leopard – the most beautiful creature in the world – he tries to explain to his children a universe that doesn’t always make sense.”The Rose Leopard” is a compelling debut novel, a poignant and often funny tale of love, grief and the transformative power of story-telling.